Bluetooth 5 was just released–here’s how it will impact the asset tracking market and future RTLS systems. Bluetooth 5 was just released, and the world of technology is racing to make space for the new specifications. However, the most impactful result of this development will likely not be found in malls or consumer products like wearables. The increased speed and range will no doubt be exciting for consumers, but these are not the solutions that will fully utilize the futuristic capabilities of the technology. Instead, it is Bluetooth-based asset tracking and Real-Time Location Systems that will be the big winners with Bluetooth 5. Mark Powell, executive director of the Bluetooth SIG. What is Bluetooth and Bluetooth 5? 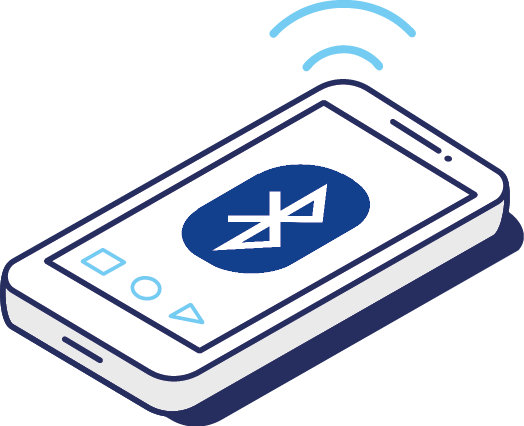 Bluetooth is a standard for wireless communication between devices that was first developed in the 1990s to provide an energy-efficient communication protocol over short distances. Traditionally used in multimedia applications, connecting smart devices to phones and laptops, recent evolutions have transformed it into a powerful tool for IoT infrastructures. With over 8.2 billion Bluetooth devices in the world, It is the most widely adopted standard for short-range wireless communication. In fact, nearly all of today’s smart devices come pre-equipped with Bluetooth. Bluetooth is also among the most energy efficient technologies on the market, boasting a range of up to 100 meters and a widely adapted and has an established ecosystem. For these reasons, Bluetooth has become the key standard for the IoT revolution. And Bluetooth 5 is a huge step in the right direction. It took 47 team members from 22 companies to build this new standard, and the results are about to begin. Within hours of Bluetooth 5.0’s launch, we were already receiving mail from excited customers talking about the next chapter for beacons. This is because the real winners with Bluetooth 5.0 will be everyone interested in IoT, and that includes enterprise. A few key takeaways from Bluetooth SIG’s FAQ. Bluetooth 5 will not be replacing the existing 4.2, 4.1, or 4.0. Instead, it will simply be extended the functionality. Nor will there be any mandatory features to implement in order to claim compliance. It will, however, include Bluetooth low energy functionality. Bluetooth-based asset tracking systems are quickly growing in popularity. The industry, however, is getting a huge boost with the introduction of the updated standard. It’s not just about being a little faster or sending a bit more information. The new metrics actually imply some very big changes in terms of capabilities of possibilities. We’re excited to see what this means for users and solutions providers. Here’s some of the key takeaways. For large enterprises and warehouses, this could mean less hardware will be needed to extend coverage as well as less errors or assets moving out range–and that means a lot of savings for businesses. With future infrastructures, where a company previously needed 10 Gateways, they might only need 5. That’s money saved on hardware, installation, cables, and deployment specialists. More importantly, in scenarios where beacons simply can’t be placed (for example, in the middle of a sports field) the longer range will make covering previously unreachable space easy. The lifetime maintenance of these infrastructures will also be simplified significantly. Maintenance includes not only expected things like battery changes, but also the unexpected–a beacon falls from the wall or has signal trouble. With the number of beacons in a fleet cut in half, taking care of these instances will be much more manageable for managers. Until now, beacons could only send 31 bytes of information at a time. Now, we can send 800% more rich, contextual data and metadata. For example, the new Kontakt.io Beacon Pro is equipped with sensors to send data on light and movement. These sensors do three major things: first, they let managers better understand their infrastructure through data analysis. Second, they enable triggers and alerts based on changes in the environment. Third, these triggers can help save energy by powering the beacon down when not in use. Previous advertising packets have always been of a certain size, and the Beacon Pro makes complete use of that size with all its sensor data. Now, there’s 800% more space to play with. Do you have assets that are very sensitive to moisture? A beacon equipped with humidity sensors could send you an alert the moment the environment surpasses acceptable level of moisture. Bluetooth 5 is also twice as fast as its predecessor. This may not impact managers on a daily basis, but it will make updates to firmware much more manageable. Again, infrastructure maintenance can take a toll on managers, and faster firmware updates could mean less hassle for everyone involved. There’s one more incredibly crucial point to understand when it comes to Bluetooth: it will be the cornerstone of the IoT. The Internet of Things will be defined by the many Things that make up its network. An exponential number of items and tools are already being connected and made “smarter” each day. However, despite all of these Things wanting to talk to eachother, there is a growing issue: how do you make items talk to each other when they speak different languages? There will be many results and solutions to this problem, and chances are we’ll see a great mixture of languages being used and methods to help with translation. This sentiment was reinforced in a recent interview with Bosch Software’s VP of engineering, Stefan Ferber. There will, however, be languages that are more common. Bluetooth is going to be one of them. As signaled by Apple’s now famous move to drop their headphone jack, forcing the move to Bluetooth. The move, which seemed to fluster or confuse some users at first, is a huge sign of what’s to come: wireless connectivity. The IoT ecosystem will rely on this kind of connection, and Bluetooth is making it happen. Hence, while a new Bluetooth version may have only interested tech-lovers in past years, Bluetooth 5 should really be of interest to everyone. While these numbers may seem like facts that only developers or business owners need to consider, they will matter to consumers one day. 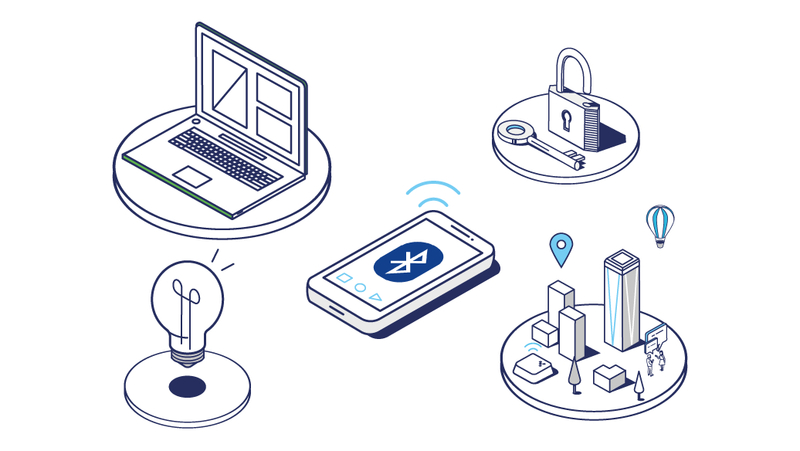 If companies want to get the most cutting edge and affordable asset tracking solutions, they’re going to have to start turning to Bluetooth–and Bluetooth 5 will make that easier. Again, this exponential increase of Things and increasing uptake of Bluetooth by users will only make technologies based on it that much more appealing. Once companies are able to conduct POCs based on Bluetooth 5 and use far more efficient, less costly, deployments, those results will trigger even more companies to seek out Bluetooth-based platforms. 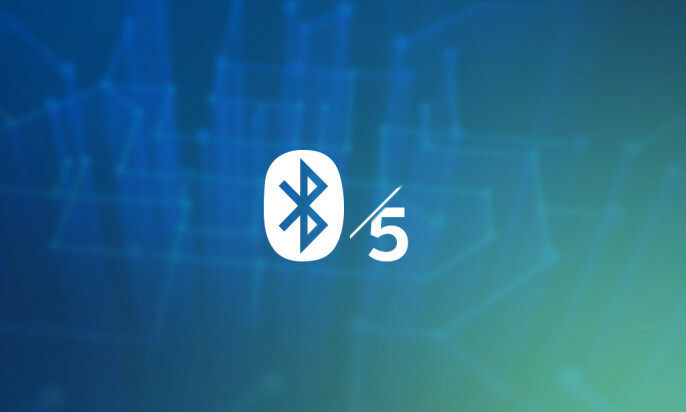 In short, Bluetooth 5 may not be revolutionizing beacons, but it does symbolize a huge turning point for beacons, the IoT, and connectivity in general. Estimates regularly reflect the growing importance of beacon technology. The tags used in retail, asset tracking, indoor navigation, and other solutions, are increasingly common and powerful. Current estimates from ABI Research predict annual beacon shipments to triple from 2016 to 2017. This means over 565 million Bluetooth-enabled beacons should be shipping annually by 2021. It’s easy for us, as beacon manufacturers, to stand by these expectations, but we’re not the only ones. We know the importance of understanding the industry and IoT as a whole. That’s why we talked to seven names in tech and beacons to get better insight. What we found was, across the board, all expected Bluetooth 5 and beacons to experience massive growth, working hand-in-hand to strengthen the IoT and industry 4.0. Chuck Martin, editor of IoT Daily at MediaPost also noted the effect that better range will have on uptake. Not only with beacons, but in general, the strengthened standard will attract more users and champions due to its increased capabilities. The real end goal is not just beacon adoption, but a new kind of seamless IoT made available to businesses and the public. This may be the beginning of a fundamentally “connectionless” IoT where users won’t need apps or to spend time constantly pairing devices. Statler, beacon thought leader and one of the biggest names in the industry, stresses the important foundation Bluetooth 5 will lay for future beacon technology. Moreover, it highlights the importance of moving beyond RSSI methods to achieve range estimations. As the industry moves toward Angle of Arrival-based methods, Bluetooth 5 will play a crucial role in making beacons more practical and appealing. The increased range means beacons can be situated further away with increased accuracy. For this reason, he calls Bluetooth 5 a useful enhancement but not quite a game changer. In reality, this is the next step in making the technology more appealing. He also suggests that this will help the Physical Web as broadcasted URLs will be able to reach a broader perimeter and deliver more information with less work (and fewer beacons). Finally, he argues that the update shouldn’t make a difference in how we trigger alerts. The standards for Immediate, Near, and Far will remain more or less the same. One exciting tidbit, however, is the prospect that this might prompt Google to add more sensor data to an Eddystone TLM packet or other capabilities. When will we see Bluetooth 5? The world has just been given access to the standard specifications–but it will be several months before we see them implemented in real technology. This release is the start of the race, and time will tell what the real impact of this new Bluetooth will be. It’s official: The Samsung S8 will be the first phones to hit the market with Bluetooth 5! That means the new standard is already out there making its first rounds. Yes, that also means solution providers are nearing launch dates for products featuring Bluetooth 5. Once infrastructures are ready to leverage Bluetooth 5, businesses with any kind of asset tracking system will find themselves capable of much more than previous iterations. Businesses looking to leverage the IoT–now is the time to get excited. Want to learn more about how Bluetooth can make your RTLS better? Our White Paper on RTLS offers our findings in depth including the role of big data and seven straight-forward steps to implementing a successful RTLS system. No time? No worries! We carefully organized our paper to help busy managers learn about new possibilities in their particular sector, fast. Download the white paper here.